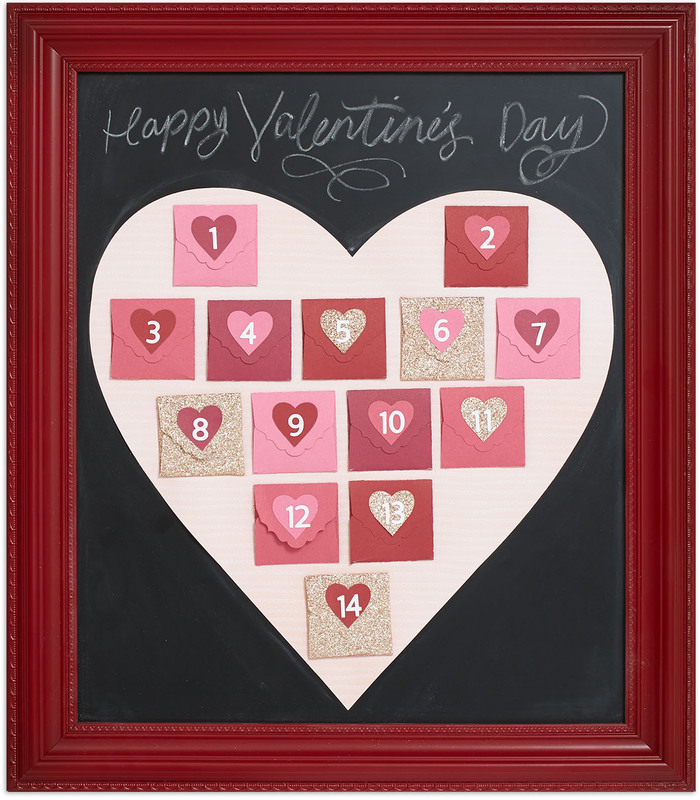 You’ll Love This Valentine’s Day Advent Calendar! After cutting them out, you’ll need to fold your envelopes. Use a bone folder to get deep creases so the flaps will stay in place—no adhesive required! Then attach a set of hook & loop dots to each envelope. These Velcro-like dots make opening and closing the envelopes a cinch! Now for the fun part: decorating and filling the envelopes! We attached a heart to every envelope and attached a number on top. Feel free to embellish your envelopes to your “heart’s” content! What will you put in your envelopes? A note with something you love about your significant other? A little piece of candy? A picture of a favorite memory? An act of love you’d like to complete that day? Whatever you choose, it’ll get you and everyone else at your house even more excited for the big day! 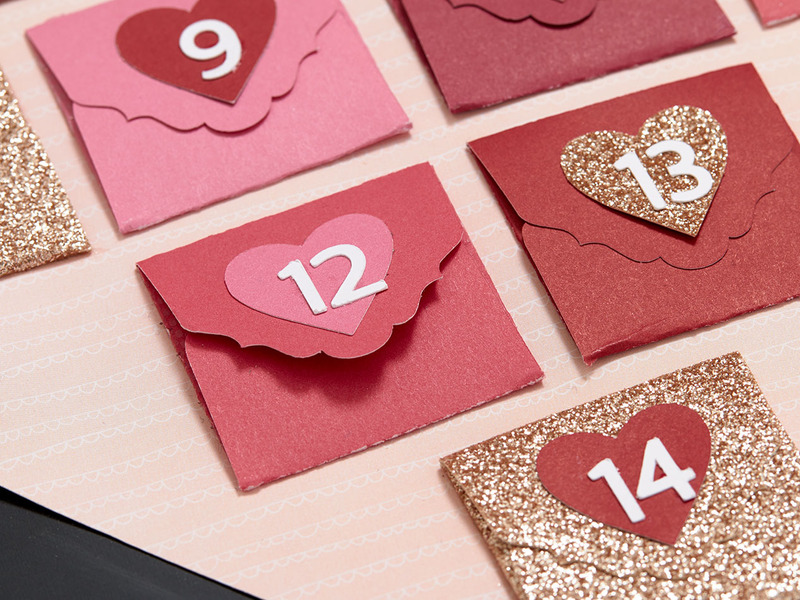 Make your own heart-filled advent calendar, so you can count the ways AND the days this Valentine’s!